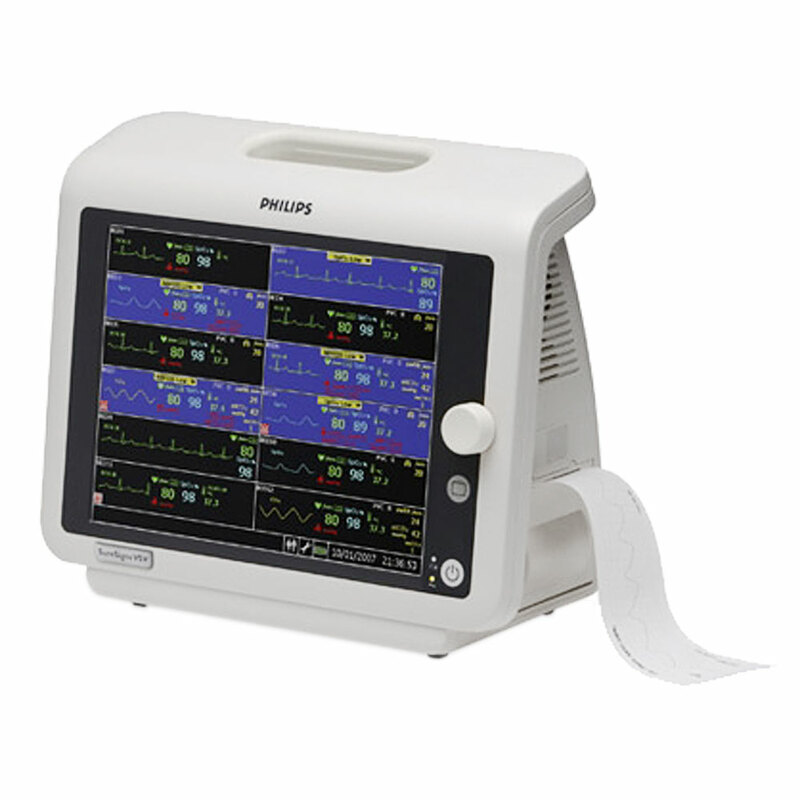 Philips SureSigns VSV Vital Signs Viewer. Having a central viewing station can be a valuable tool, but can also be a daunting task. Setting up and managing a complex network with central surveillance may be difficult to achieve. Philips has the solution for you. The SureSigns VSV Vital Signs Viewer is a simple, reliable, and affordable alternative to the complexity and expense of instituting a central PC-based monitoring station. The fact is, you can add the VSV to your facility for about the cost of a VM Series monitor. The VSV displays vital signs data and one waveform from up to 12 VM monitors. Audible and visual alarms are sent to the VSV, and can also provide alarm output to a nurse call system. Bedside alarms can be temporarily silenced from the VSV. The VSV is easier to set up and use than a typical PC-based monitoring station. Included with the unit is everything you need to get started: keyboard, mouse, USB hub, and a 16-port router. All you need to supply are the network cables. Most of the parts for the VSV are the same as are used in the VM monitors, so support is easily managed. The large 10.4" color display is clear, bright, and easy to read. There is also an optional 19" VGA display available. You can connect up to 12 VM monitors to the VSV, and set the display to show 4, 8, or 12 patients' vital signs. Several different views can be selected, and a zoom function allows you to enlarge a selected patient's pane for easier viewing. In addition to the items listed above, the VSV ships with a step-by-step set-up guide, instructions for use, quick reference cards, service manual, and a 3-year parts only warranty.